This is a festive idea to add to your Easter brunch menu! Preheat the oven to 400 degrees. 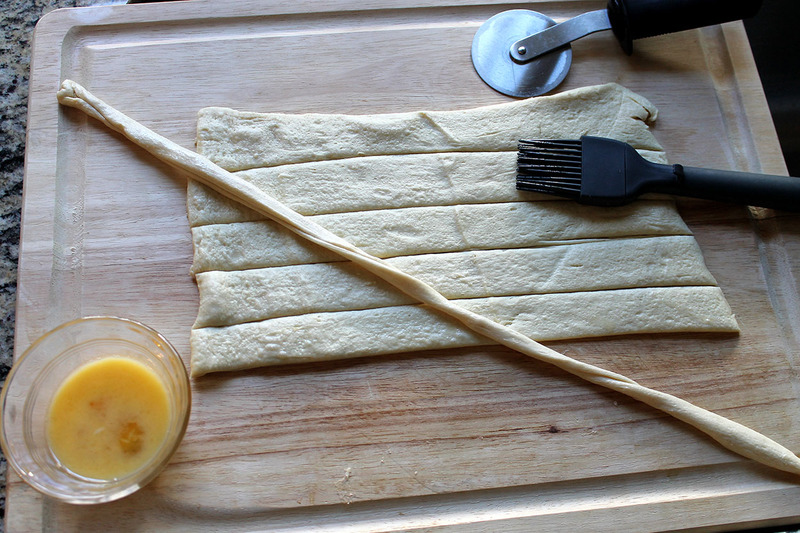 Unroll the seamless dough onto a cutting board, and cut it lengthwise into six equal strips using the pizza cutter. Brush the egg wash on top of each strip. 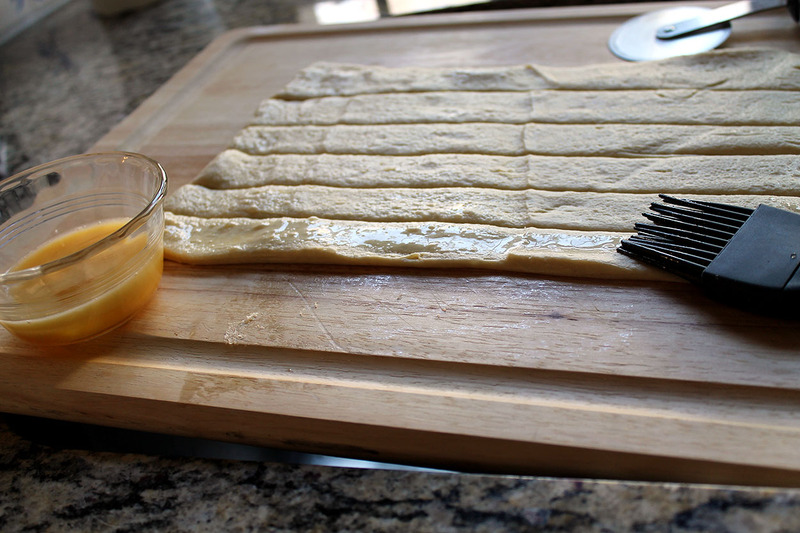 Roll each strip into a thinner and longer (16-18 inches) piece. 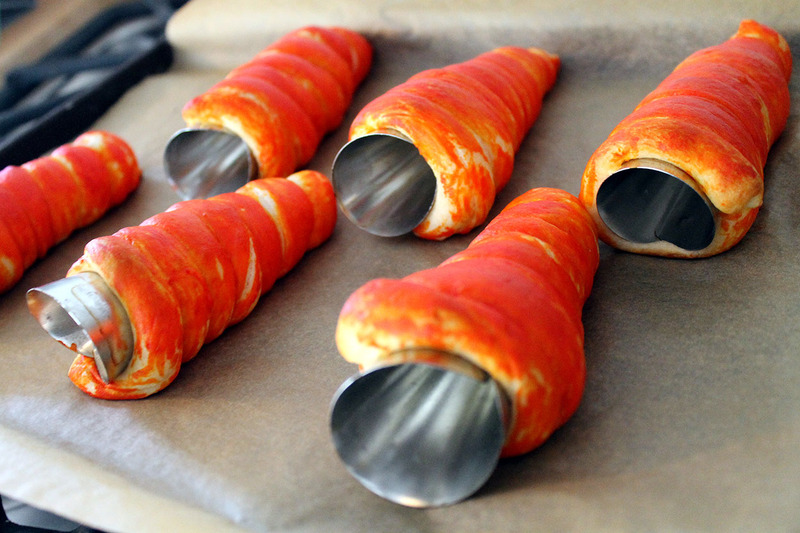 Wrap the strip around a cream horn mold, starting at the narrow end and working your way to the top of the mold. 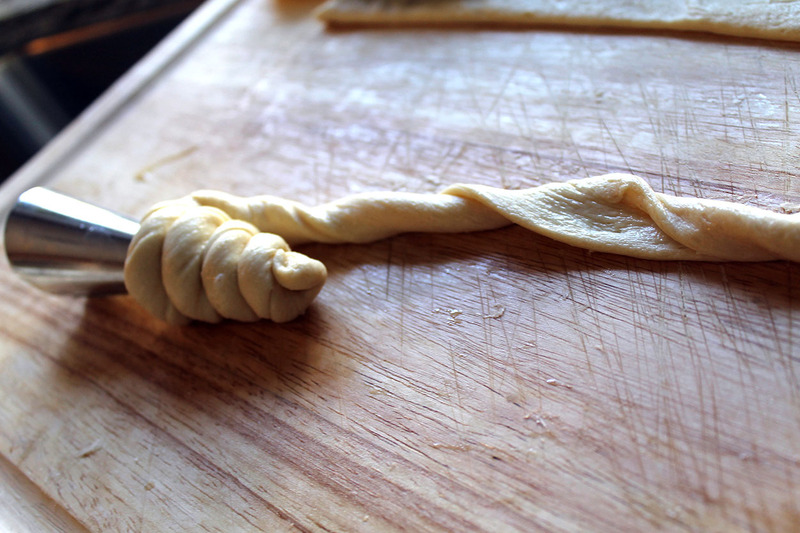 Be careful not to let any dough hang over the open end of the cream horn mold. It will make it difficult to remove after it is baked. Do this entire process one strip at a time. Line the baking sheet with parchment paper. Mix together the red (2-3 drops) and yellow (25-30 drops) food colorings. 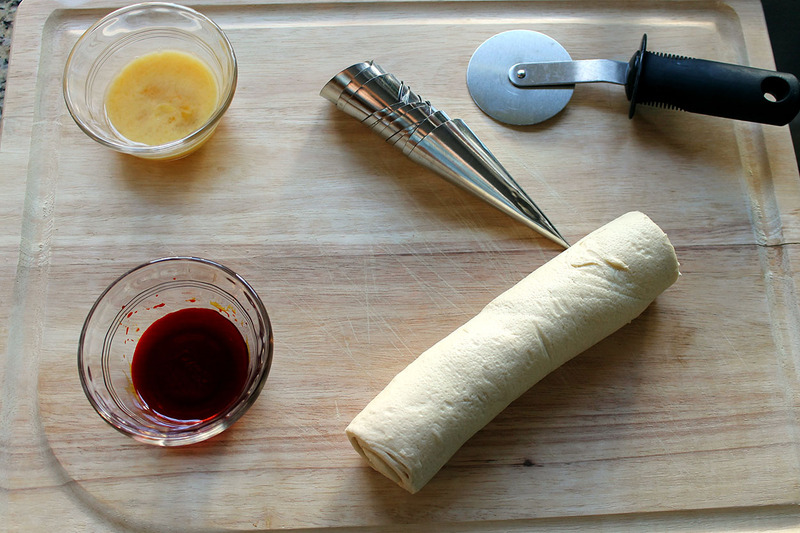 Brush the orange coloring all over each dough-wrapped mold. Place the “carrots” on the lined baking sheet. 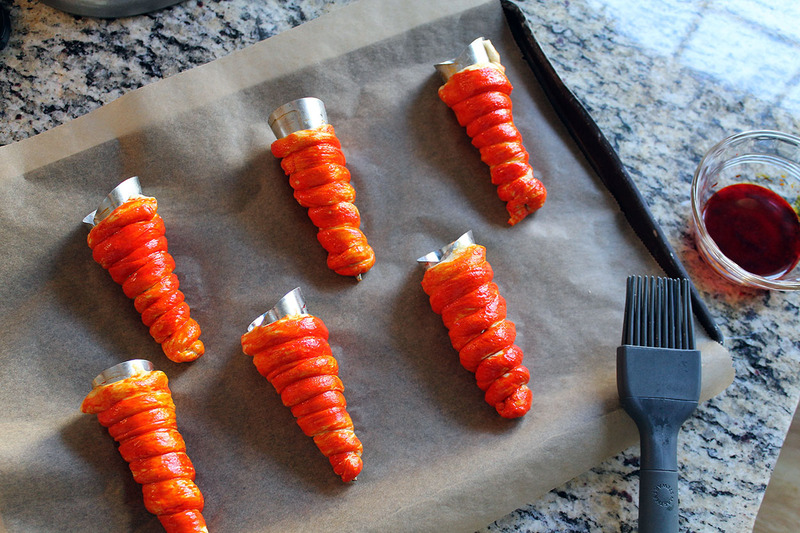 Bake them for 6-8 minutes at 400 degrees or until golden brown. Allow to cool for 5-10 minutes. 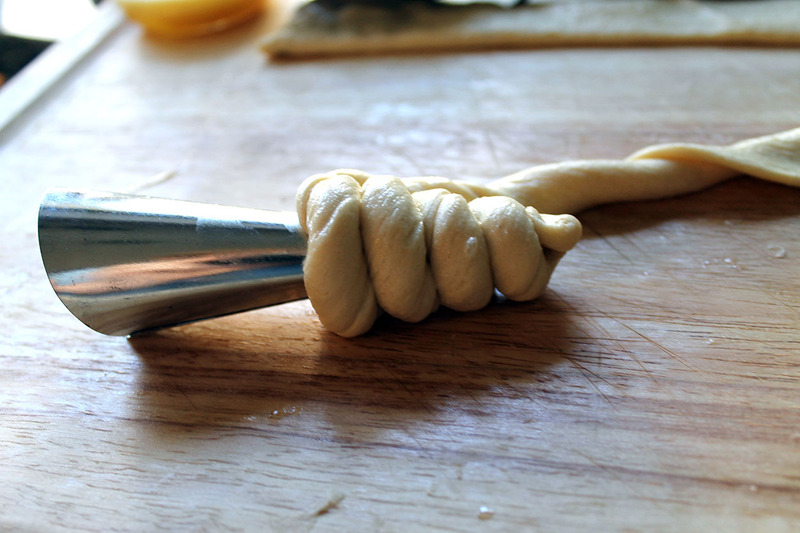 Remove the cream horn mold by holding it in one hand, and very carefully twisting and pulling the mold away from the baked dough with the other hand. 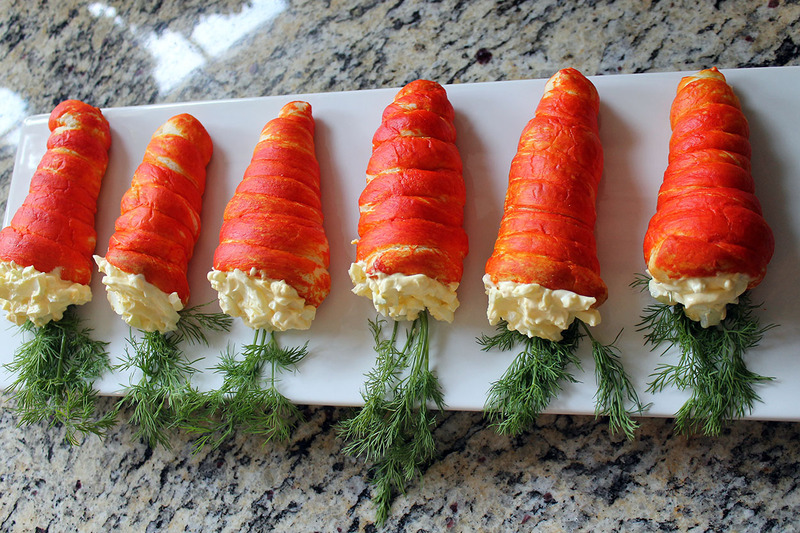 Fill each carrot croissant with egg salad. 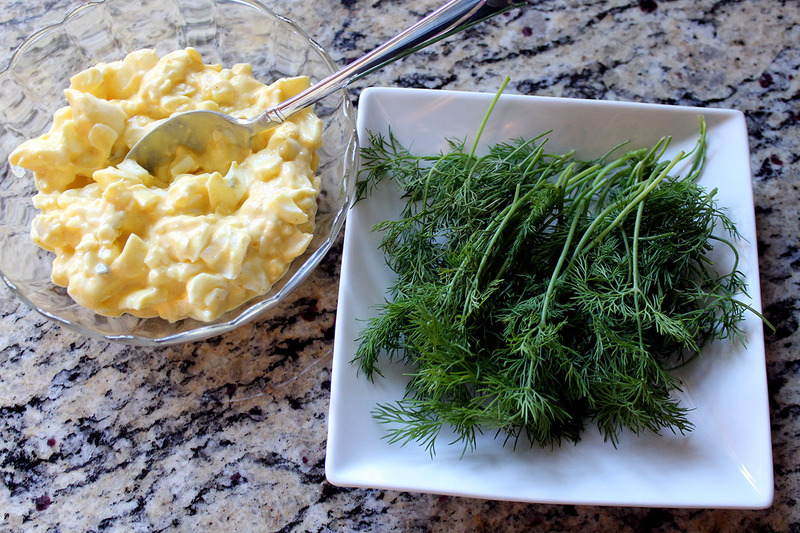 Press a sprig or two of dill into the top. 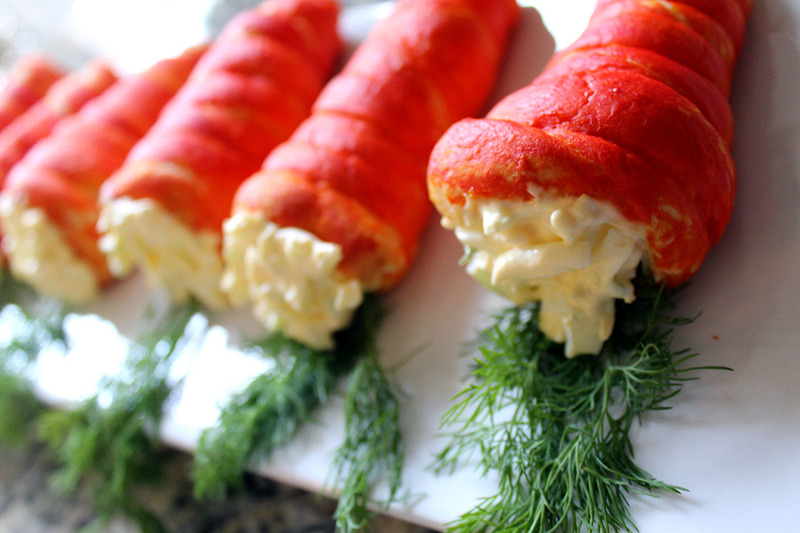 Serve to your guests on Easter and enjoy!